Even if you have not yet received a notice from the IRS regarding back payroll taxes, you should hire a professional tax resolution company and bring your taxes up to date as soon as possible. You can avoid the negative consequences of dealing with IRS collections if you take care of the problem as soon as possible. If you've already been pursued by the IRS for collection of payroll taxes, you can get help from the professionals at Top Tax Defenders. When you need a tax firm with experience helping clients solve their IRS tax problems, Top Tax Defenders, with over 27 years of experience, can help you take care of the problem before it gets worse. 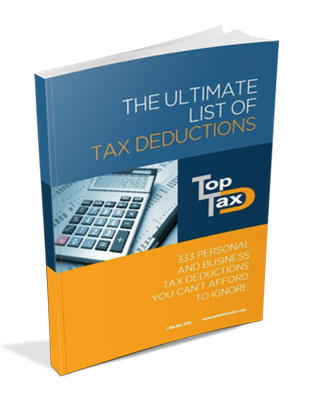 Personal and business deductions you shouldn't ignore this tax season.